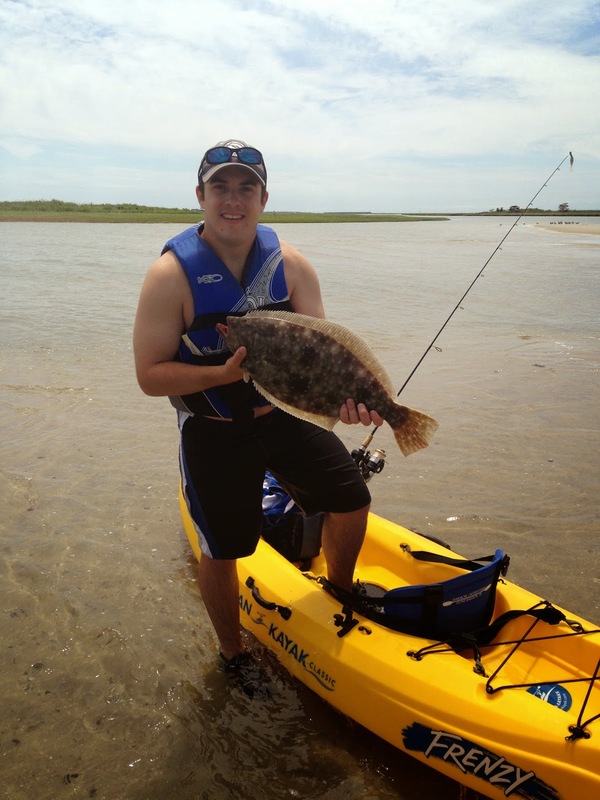 Eric Czapka, from Holland, PA. Was fishing the back bay on his kayak this weekend when he landed this very nice flounder it was 23 inches and ate a Gulp! on a buck tail. The fish was let go immediately after the pic was taken to live another day so now weight is available. There are lots of little flounder in the bay but there are still some very nice fish up to 6 pounds so get out there and have some fun.